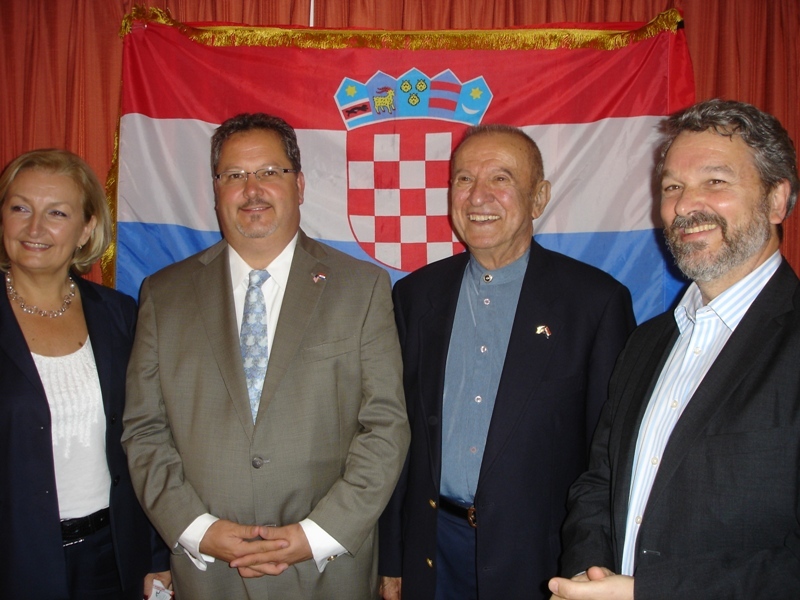 Washington, DC: The National Federation of Croatian Americans Cultural Foundation (NFCACF) has elected a new President, Mr. Paul Tonšetić-Kunder, to succeed Mr. Bill Vergot who is retiring after serving two terms as President since 2011. The vote of Delegate and Executive Board members was taken at our 20th Annual Conference in St. Pete Beach, Florida and announced immediately during the conference. “I have come to know Paul over the past few years and have worked very closely with him recently on issues core to our causes. Paul’s appointment was unanimously supported by our entire Delegation and Executive Board. I am confident that he will continue the traditional and dedicated leadership of our organization going forward,” said outgoing President Vergot. Mr. Tonšetić-Kunder of Coral Springs, Florida is a third generation Croatian American originally born and raised in Pittsburgh, PA. Both maternal and fraternal grandparents came from Croatia in the early 1900’s (Samobor and Grubišno Polje), and they settled in the Western Pennsylvania area. In addition, the Delegates also appointed a new executive board for 2013-2014 year. They are: President – Paul Tonšetić-Kunder, Executive Vice President – Zvonko Labas, Treasurer – Michael Stempihar, Secretary – Anne Pavlich, Immediate Past President – Bill Vergot, Assistant Treasurer – Jay Hunter, Parliamentarian – Tom Steich. Regional Vice Presidents were also appointed: Eastern – Steve Rukavina, Central – Frank Jerbic, Western – Jim Kresnick. Officers-at-Large were named: John Kraljic, Mario Spalatin, and Charles Stefanac. The NFCACF 20th Annual Assembly was a celebratory affair held June 1, 2013, at the Dolphin Beach Resort in St. Pete Beach. The Assembly was preceded the night before by a Benefit Wine Tasting at the Croatian Club of Tampa Bay in Clearwater. Our guest of honor at the Wine Tasting was Miss America 2011, Teresa Scanlan of Nebraska, who delivered a worthy speech regarding her unique Croatian-Irish background and wonderful national pageant success in 2011. Miss Scanlon’s maternal ancestors are from the Dalmatian Coast. 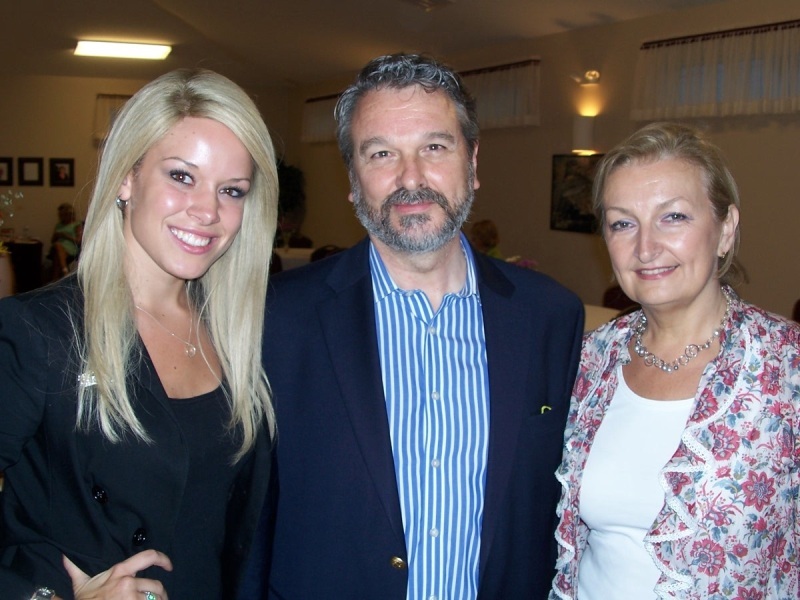 Our gracious host for the evening was Croatian Club President Katica Pavicic. The Benefit was held to assist the unemployed families in Croatia, to assist the country to further develop its social safety net, and the NFCACF aid will be distributed through the Croatian International Humanitarians (CIH). Ms. Nirvana Kos Mattey of CIH traveled from Miami and expressed her deep appreciation for NFCACF’s initial assistance with the establishment of CIH (www.fbhumanitarci.com) and continued financial contributions. The Assembly met the following day with a busy agenda in addition to the annual business of the NFCACF. Outgoing President Vergot summarized the year’s activities for the Delegates. He specifically congratulated two earlier Presidents for awards received during the prior twelve months. These honorees were NFCA’s first President, Mr. Ed Damich, and NFCA’s President from 2004 to 2009, Mr. Ed Andrus, whom received a legal award from the Croatian American Bar Association and the Croatian Republic’s ‘Order of Stjepan Radic’ Medal respectively. Mr. Vergot also briefed the Assembly Delegates on the gracious receptions that Croatian Ambassador Josko Paro and Mrs. Jasenka Paro hosted at the Embassy for our organization’s recent awardees and now retired Croatian Caucus Co-Chairs: US Representatives Elton Gallegly (R-CA) and Dennis Kucinich (D-OH). Treasurer Mike Stempihar provided a current financial picture for the organization and took questions. These questions centered on NFCACF’s growing membership and the development of innovative methods to continue this positive trend. Media Director Jay Hunter updated the Delegates on web page developments, the new Facebook site for NFCACF, earlier and pending Newsletters, and related digital enhancements for the organization. Public Affairs Director Joe Foley next overviewed activities in Washington. His report highlighted the introduction in the US Senate of Senate Resolution 131 – also known as the ‘Begich Resolution’ – and the subsequent Balkans press coverage of this new legislative initiative. S. Res. 131 was introduced by Senator Mark Begich of Alaska on May 8th and calls for a Presidential Special Envoy to be appointed for Bosnia and Herzegovina (BiH) to evaluate the successes and failures to date of the Dayton Peace Accords (DPA) in place since 1994. The Special Envoy is to report back to the Congress after reviewing the many current political difficulties threatening BiH and the region. Recommendations pertaining to reversing the economic and political discriminatory trend against Bosnian Croats - as one of the three DPA-designated constituent peoples in BiH - are also to be part of the Envoy’s agenda. Resolution of this ongoing crisis in BiH is considered by many foreign policy experts to be the lynchpin for the future success of the new nation-state of Bosnia and Herzegovina. The public session of the Assembly was conducted in the afternoon. First, Miss America 2011, Teresa Scanlan, spoke to the Delegates and the public about her goals for involving more youth in advancing humanitarian assistance via her international representation of Croatian Relief Services, Inc. Miss Scanlon overviewed her recent visits to the orphanage in Port-au-Prince, Haiti, founded by Fr. Giordano Belanich who leads this non-profit NGO (www.croatianrelief.org). Next, Edward Joseph, a Johns Hopkins University foreign service school professor and former Deputy Head of the OSCE Mission in Kosovo spoke to the Delegates about the current political climate in the Balkans. Mr. Joseph spoke comprehensively noting that Bosnia remains a prisoner of Dayton. However, the April 19th rapprochement between Kosovo and Serbia facilitated by EU High Representative Catherine Ashton was a sign for possible better political trends to come for the Balkans. After a break where the Delegates freely conversed and refreshed old friendships, two important diplomatic representatives spoke to the Assembly and took questions from our public invitees. Ambassador to the US from Croatia, His Excellency Josko Paro, and Ambassador to the US from BiH, Her Excellency Jadranka Negodic, both spoke at length to the conference. Ambassador Paro highlighted the importance of Croatia gaining admittance to the US Visa Waiver Program and his appreciation for NFCACF’s continued strong support of this goal in Washington. The coming celebration on July 1st of Croatia’s full ascension to the European Union was reviewed by Ambassador Paro. Feelings of pride and success related to this important achievement for the Republic were palpable amongst the Delegates and the Croatian diplomats attending the Assembly. Ambassador Negodic of BiH closed with a review of the many challenges faced by her country, which remains in the midst of a ‘frozen conflict’. She also cited the importance of the new political dialogue inherent in the April 19th Agreement between Serbia and Kosovo, and the need for realistic domestic political reforms as BiH moves forward with its goal of joining NATO. Both Ambassadors Negodic and Paro were complimentary regarding the NFCACF’s contributions toward the recent introduction of the ‘Begich Resolution’ in the US Senate for the President to appoint a Special Envoy for Bosnia. Both agreed a Special Envoy will have a positive impact on the current state of affairs in BiH, and the related report back to the US Congress with specific policy recommendations is long overdue. The complete 10-page text of S. Res. 131 can be found and read at www.thomas.gov. After a lively discussion regarding the location for NFCACF’s 2014 gathering, the Assembly was adjourned so that the Delegates could enjoy St. Pete Beach prior to a generous dinner, live music, and dancing sponsored late in the evening by the Croatian Club of Tampa Bay (www.croatiaclubtampa.com). Prior to his appointment, Paul served on the NFCACF Board of Directors and has been very active with the organization in past activities. This has included Croatia’s gaining membership into the North Atlantic Treaty Organization, the development of the Congressional Croatian Caucus, the promotion of equal economic and political treatment for Croats in BiH, and related Congressional affairs matters. He is currently an executive with Amera-Veritas, Inc., a risk-based international consulting firm located in South Florida with a focus in the areas of aeronautics, space, and defense. Educated in Mechanical Engineering, Paul has been recognized as an expert in quality management, international standards, and safety risk management. He also recently received the international Robert McFarland Award by SAE International - a trade association and standards body - for his achievements in the aerospace sector. The NFCACF is a non-profit 501 (c) (3) organization dedicated to promoting the interest of the Croatian people - embodying heritage of culture and language, integrity in human rights and equality in self-determination, advancing economic development, and freedom from persecution. For further response on this NFCACF press announcement, please contact Mr. Joe Foley, Public Affairs Director in Washington, on (301) 294-0937. 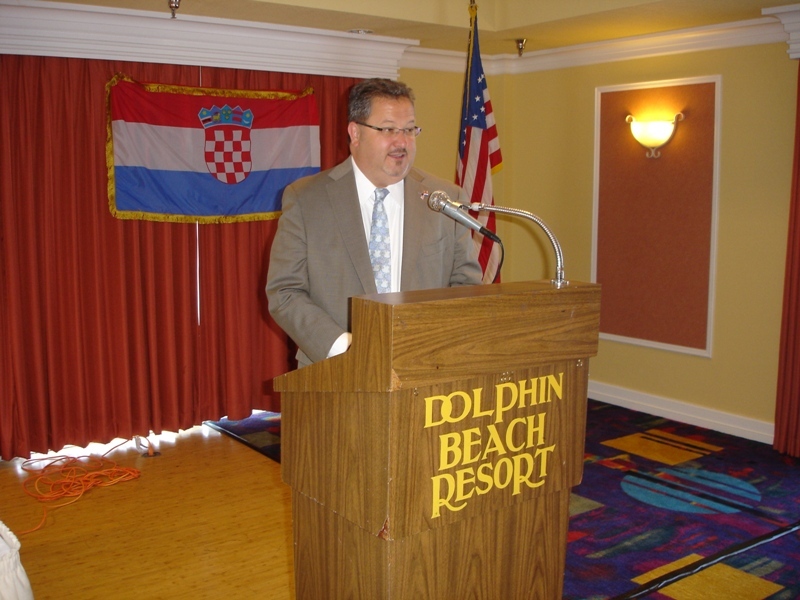 The NFCACF is the national umbrella organization established in 1993 for Croatian Americans, related professional associations, and the many fraternal lodges that collectively represent approximately 130,000 members. 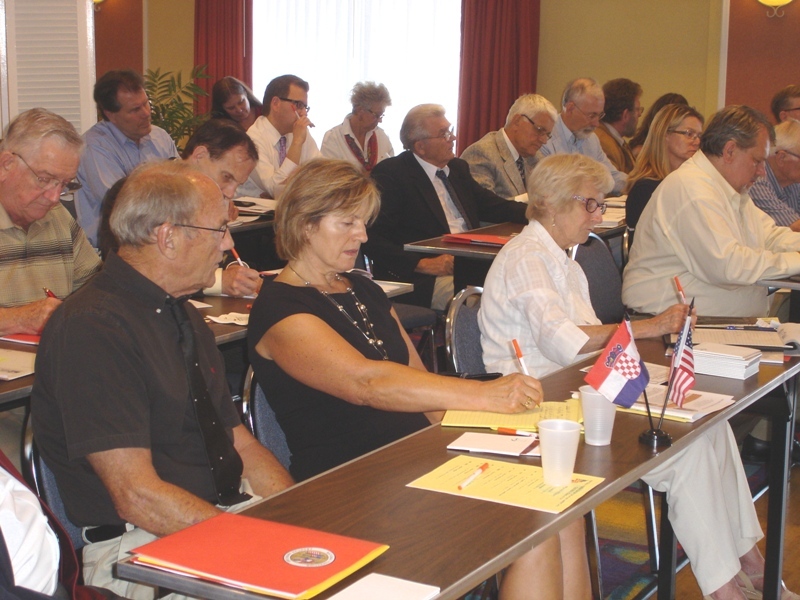 For individual membership and chapter information, recent newsletters, and other Croatian American news please visit our web site: www.nfcacf.org. NFCA Announces “40 Under 40" Winners from USA!